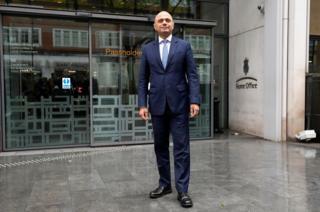 Sajid Javid has promised to “do whatever it takes” to put right problems faced by the Windrush generation after he succeeded Amber Rudd as home secretary. Mr Javid said as a second generation migrant he was “angry” at the treatment of those caught up in the saga. He also disowned the “hostile environment” tag attached to the government’s migration policy. Labour said he would be judged on getting “justice” for people affected. And he said he would not be using the phrase “hostile environment” to describe immigration laws introduced by Theresa May when she was home secretary. Mr Javid was appointed after Ms Rudd quit on Sunday evening, saying she “inadvertently” misled MPs over immigration removal targets. Ms Rudd told MPs last week the Home Office did not have targets for removing illegal immigrants, but on Sunday the Guardian published a letter in which Ms Rudd set out her “ambitious but deliverable” aim to deport 10% more illegal immigrants over the “next few years” to Theresa May. 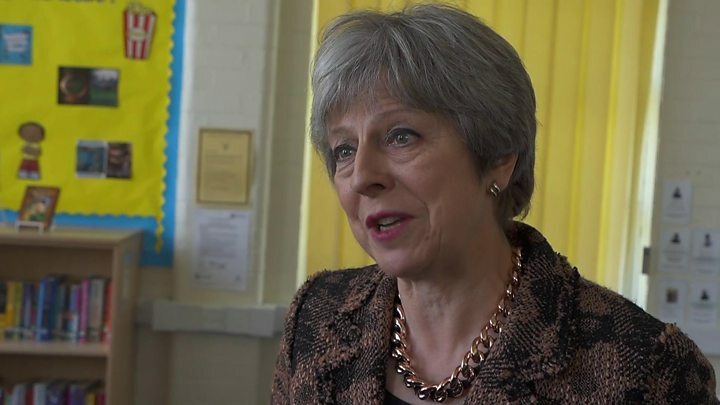 When asked if she should take some personal responsibility for her home secretary’s resignation, Mrs May said: “When I was home secretary, yes, there were targets in terms of removing people from the country who were here illegally. Mr Javid, a former investment banker and MP for Bromsgrove since 2010, has been communities secretary for about 18 months. The 48-year old, who previously served as business and culture secretaries, led the government’s response to last year’s Grenfell Tower fire disaster. Politically neat, generally welcomed by colleagues – In the recent canon of Tory events the relatively smooth landing of this appointment is an achievement in itself. But moving Sajid Javid in, after Amber Rudd took herself out, does not end the prime minister’s problems. She and Mr Javid need to move fast to cauterise the political wounds from Windrush. He can, and did, make a more compelling and personal case in the House of Commons, showing what seems real anger about what has happened to those caught up in Windrush, and unafraid to use his own family story to display it too. Colleagues have called him a “good operator”, and “compassionate and empathetic”. Many in Westminster are pointing to his own family history as the ultimate Tory dream – the boy whose dad arrived in Britain with £1 in his pocket, who through hard work ended up in the cabinet, with a portrait of Margaret Thatcher on his wall. His appointment is also a landmark, he is the first politician from an ethnic minority to take on one of the great offices of state – the biggest jobs in cabinet. But whatever the presentation and the political messaging, the realities of the Windrush fiasco affect real lives. It’s not going to be fixed with a new face or a more sympathetic soundbite. Ms Rudd’s departure came after she faced mounting criticism over her handling of the Windrush scandal and immigration policy. The Windrush generation settled legally in post-war Britain and automatically got the right-to-remain in the UK – but the UK government did not keep a record of everyone in that position. Some people who do not have the paperwork to prove they are in the UK legally have been detained, lost their jobs and denied access to medical care. This has prompted calls for the government to abandon its “hostile environment” policy on illegal immigration, which Ms Rudd and Mrs May continued to defend, although Mr Javid told MPs he preferred the phrase “compliant environment”. Windrush: Who exactly was on board? What went wrong for Amber Rudd? He told MPs Windrush cases were being investigated “as a matter of urgency”, with more than 100 processed so far and 500 appointments scheduled. Responding for Labour, shadow home secretary Diane Abbott said: “The Windrush generation was my parents’ generation. I believe – and most British people believe – that they have been treated appallingly. 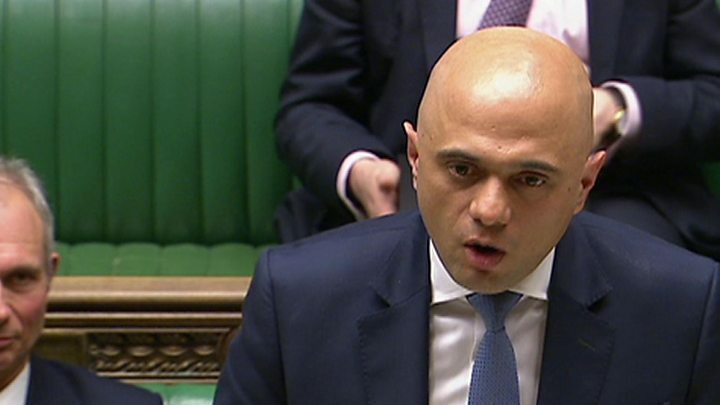 She added that Mr Javid “will be judged not on the statements he makes this afternoon: he will be judged on what he does to put the situation right and get justice for the Windrush generation”. To anger from Labour benches, the home secretary replied that Ms Abbott did not “have a monopoly” on anger at the situation.